Magny-Cours. The last stop of the FIM Superstock 1000 European Championship. In the run-up to the event it became public that the organizer Dorna S.L. closes the series at the end of the season. Markus Reiterberger thus secured a podium position in the last race of the series and celebrated, after three German championship titles, his fourth and at the same time most valuable international championship success. Jan Bühn experiences a conciliatory season finale. The team around Markus Reiterberger had dealt intensively with the necessary gear ratio for the race track in Magny Cours in the run-up to the first practice session. With success. With a compromise between wheelbase, handling and gear ratio Reiterberger rode in the first free practice the fastest time and displaced his two title rivals Tamburini and Scheib to position two and six. With the used set of tires from the first practice session and increased track temperatures, Reiti held on to first place just before the end of the session. The competition drew new tires for the final time hunt and pushed Reiterberger to fourth place. Jan Bühn shortened the gap to the top to just 1.2 seconds and was satisfied with the first day of practice. With slight adjustments to the bike, which provided more rear wheel grip, Markus Reiterberger again had the lead in third free practice. But the Bavarian was not quite satisfied, because he still complained about too much wheelspin. The Italian Federico Sandi finished the session with consistently fast lap times just behind Reiterberger. 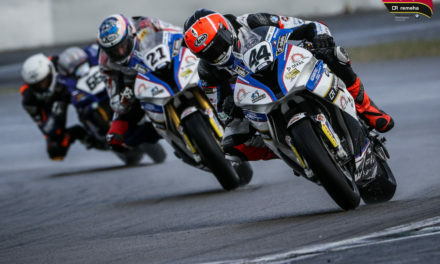 Title contender Tamburini followed on P3, while Maximilian Scheib made it only to the sixth position. Jan Bühn finished the final rehearsal before qualifying in tenth place overall. The starting position for the Sunday race had to be good for Reiterberger, so that he is not involved in risky duels in the upper midfield. Markus led the first part of the qualifying session with just under half a second ahead of the field. As he once again put on new pair of tires, Federico Sandi forced him with a quick lap to the second position. With new tires Reiterberger attacked once again, but made a breaking mistake in his fastest lap and thus missed the pole position by 13 thousandths of a second. Starting position two for the title candidate from Germany. The tension before the race was clearly felt by each team member. At the start of the race, Markus Reiterberger has held back a bit to get through the first corners and not accidentally risk a crash through no fault of his own. He joined Sandi and Scheib in third position. Scheib was passed through in the early stages on P4, while Reiti could shorten his gap to the leader. Meanwhile, Alessandro Delbianco passed the German and pushed Reiti to third position, again. In the fifth race lap, he conquered the second position back and could work out a safety margin to the competition. With great strides he shortened the gap to the leader Federico Sandi, but Roberto Tamburini wanted to force Reiti into a mistake to play his title chances. In the penultimate lap, it happened – Reiterberger was a bit too late on the brakes and had to leave the track, lost his second place to Roberto Tamburini and then finished the race in third place. His lead in the overall standings was enough to defend the first place in the overall standings. Jan Bühn crossed the finish line as a strong eighth, having fought his way from 12th place through the field. 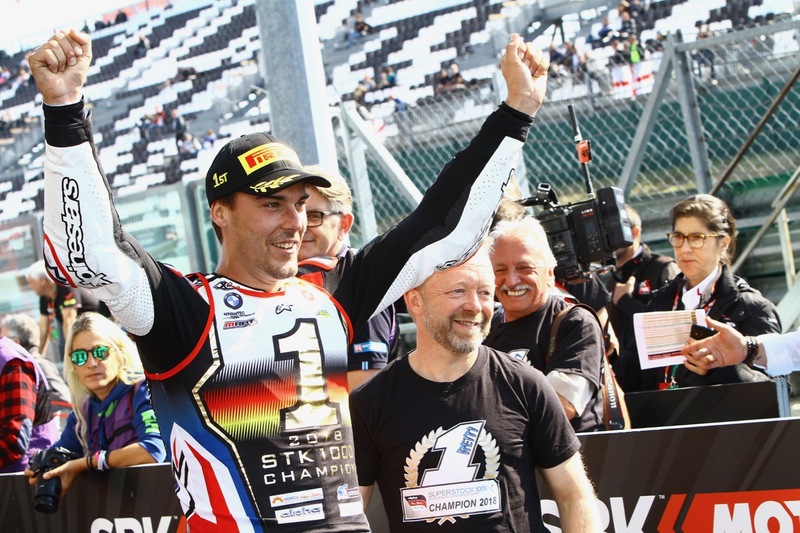 Markus Reiterberger secures the title in the FIM Superstock 1000 European Championship in the last race of the season. Over the season, 33 pilots participated in the Superstock 1000 European Championship. 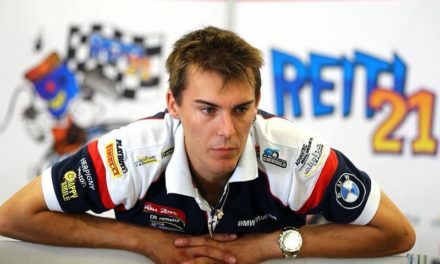 Reiterberger finished the season with 156 points and 14 points ahead of second-placed Roberto Tamburini (BMW). The 24-year-old Bavarian was on the podium six times in eight races. Only in Imola and Brno he missed the podium. 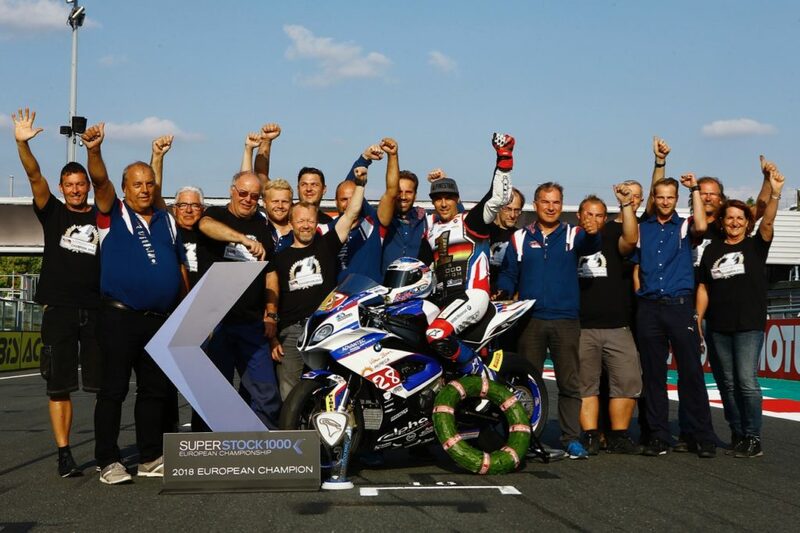 Four victories and five pole positions are the brilliant yield of Markus Reiterberger in the final season of the FIM Superstock 1000 European Championship. During the eight race events, Markus Reiterberger set twelve (!) new records with his BMW S 1000 RR. His dominance is also clear in the statistics of the leadership rounds. He ranks first with 54 leading laps ahead of Maximilian Scheib with 24 leading laps. Throughout the season, the BMW S 1000 RR # 28 did not suffer any technical failures and always saw the checkered flag. It is already the fourth international title of Markus Reiterberger together with team alpha Racing-Van Zon-BMW of team boss Werner Daemen. Since 2012, the Belgium-based team has secured the seventh international title. Jan Bühn scored 36 championship points in the season and is ranked 11th overall. The title in the manufacturer championship goes to BMW Motorrad with 185 points. It could not have been better planned. 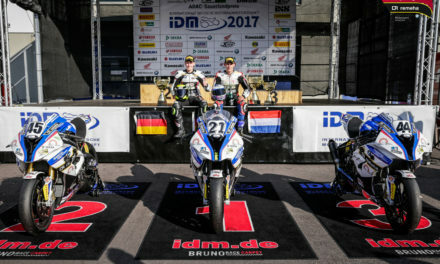 Almost at the same time Markus Reiterberger crossed the finish line in the Superstock 1000 and Ilya Mikhalchik in the IDM Superbike as champion of the respective championships. The alpha Racing-Van Zon-BMW team-mates separated 3.517 SECONDS from simultaneous title victories at international level. No team ever achieved such a title decision ever before. A team, two riders in international championship titles, who secure the championship title on the same day with a few seconds’ distance! Reiterberger crossed the finish line at 12:05’40.017 CET in Magny Cours. Ilya Mikhalchik crossed the finish line at 12:05:43.534 CET in Hockenheim. „We are European champions. After three German championship titles, we finally got one on top. I was more tense before the race than before. I’m determined to ride safely and risk nothing. But you cannot be sure with technical failure. My mechanics Wolfgang and my father Tom controlled every screw and my data engineer Dirk double checked everything. My team has given everything so I can give 100% on the track. At the start, I held back a little bit and set up some distance to my pursuers towards the middle of the race. I did not want to run the risk of being involved in an incident. I felt I could win the race. Tamburini then joined and put pressure on me. That was his tactic. Shortly before the end of the race, I was a tad too late on the brakes and had to straighten up and ride over the track boundary. With some risk I would have made the turn, but I wanted to finish safely and secure the championship. I’ve already tried the emergency exit during training – so everything went well there. But I’m honest – I would have liked to win the race. Previous(DE) STK1000 | Markus Reiterberger sichert sich Titel in der FIM Superstock 1000 Europameisterschaft. 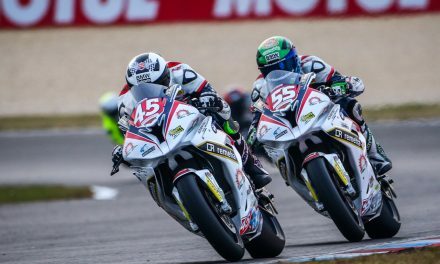 (EN) IDM Oschersleben: Reiterberger double victory and triple podium. Strategic realignment for Van Zon-Remeha-BMW. 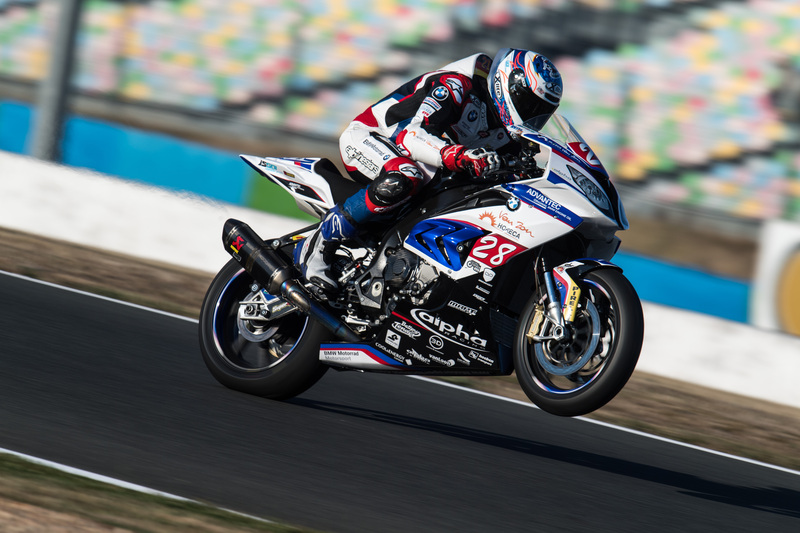 Cooperation with Polish Superbike team LRP Poland expanded.